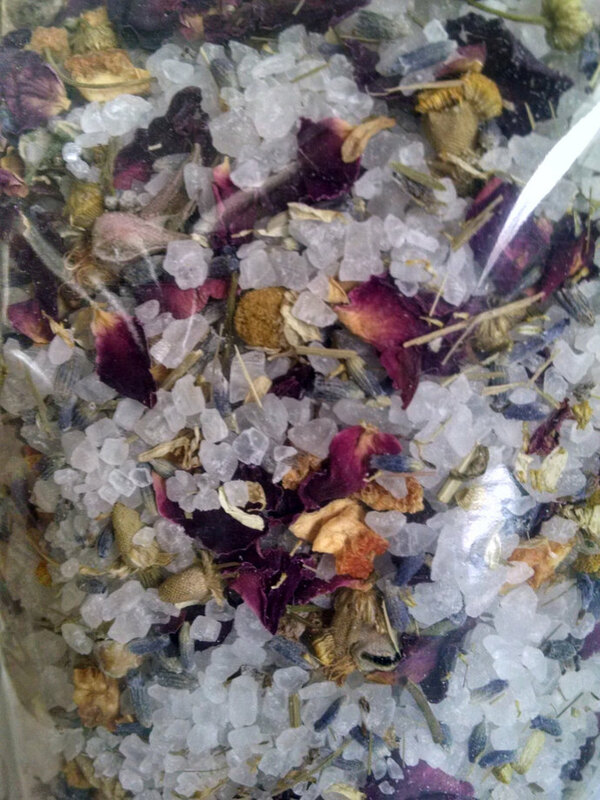 These therapeutic Mineral Bath salts are combined with a special blend of Bath Tea, specifically created to help pamper and relax you, to promote a feeling of calm and well being. 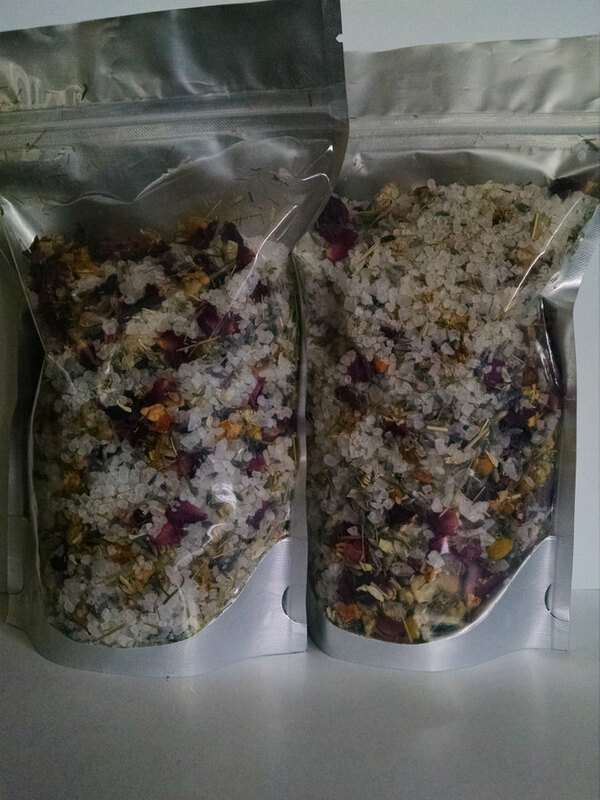 Chamomile, Rose, Lemongrass, Passion Flower, Orange Peel, and Lavender. I have also added Essential Oils of Lavender, Lemongrass, Orange and Ylang Ylang. 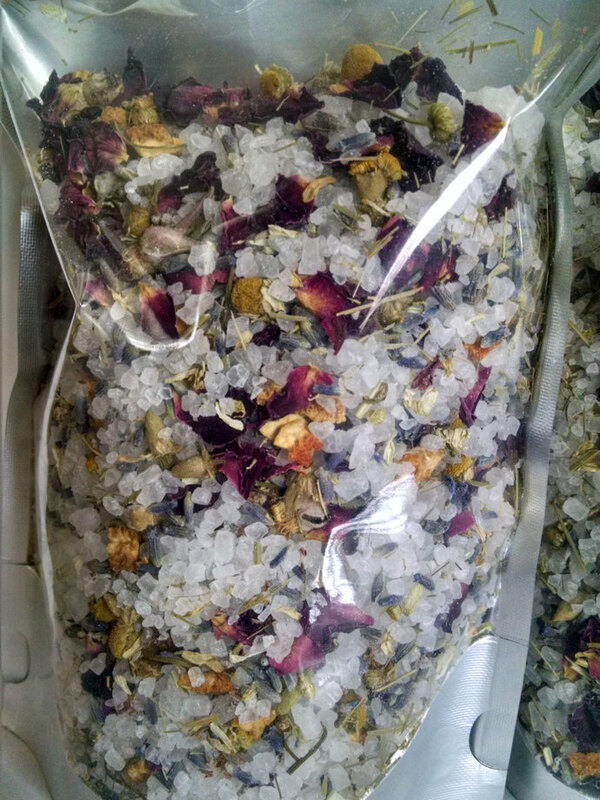 Together, the Bath Tea and the Salts in a hot bath will help prepare you for a good night's sleep. These therapeutic sea salts are considered to be the purest salts in the world. They are solar evaporated and harvested from the pristine waters of the Mediterranean Sea. They are produced using solar evaporation in a region of the world that is free of pollution and has very high evaporation rates. Why are these types of salts beneficial? Magnesium is important for both combating stress and fluid retention, slowing skin aging and calming the nervous system. Calcium is effective at preventing water retention, increasing circulation and strengthening bones and nails. Potassium energizes the body, helps to balance skin moisture and is a crucial mineral to replenish following intense exercise. Bromides act to ease muscle stiffness and relax muscles. Sodium is important for the lymphatic fluid balance (this in turn is important for immune system function). So we can see that bathing in high quality sea salt could replenish the minerals which are critical to our skin metabolism. 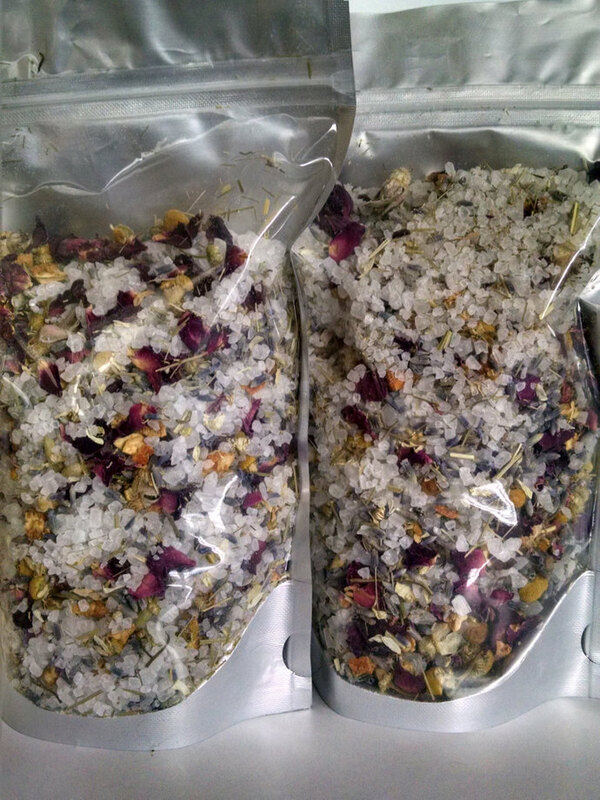 Place a few spoonfuls of Relaxation Mineral Bath Salts in the enclosed reusable muslin bath tea bag and close it up by tying securely. Let the hot water of your bath infuse the bath tea bag and leave it in your bath water while you soak. Stay in the tub at least 20 minutes. The muslin bag will prevent any of the bath tea particles from stopping up your drain while still allowing the bath salts to dissolve. After each use, dump the wet tea into the trash and let the bag dry out. It will be ready to use next time! This listing is for one 16 oz. resealable zip close, silver air tight package and one reusable muslin bag with a draw string closure. That's right- a full pound of Bath Salts! This Silver Zip Close Bag is moisture and oxygen resistant. It will keep your salts fresh as long as you keep it closed tightly. The back is silver and the front is a clear plastic window you can see the salts. 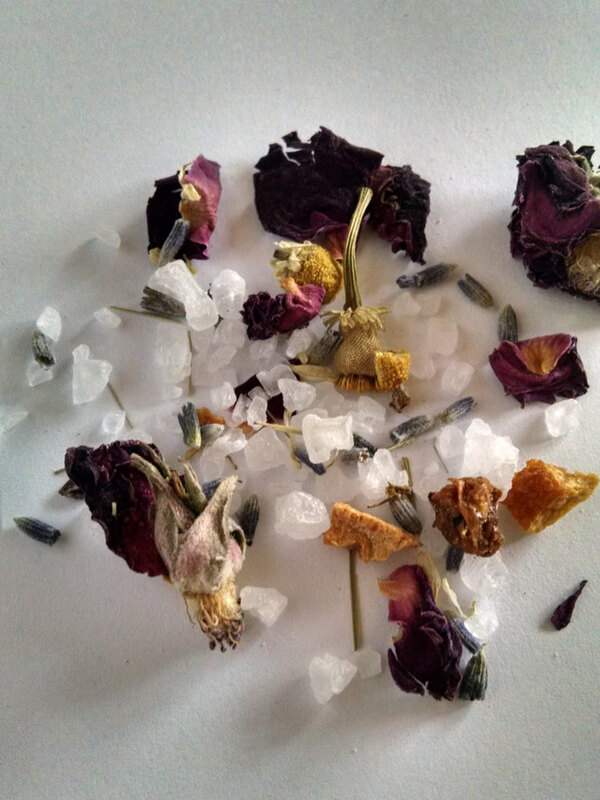 Ingredients: Sodium Chloride (Dead Sea Salt), Chamomile, Rose, Lemongrass, Passion Flower, Orange Peel, and Lavender. Essential Oils.